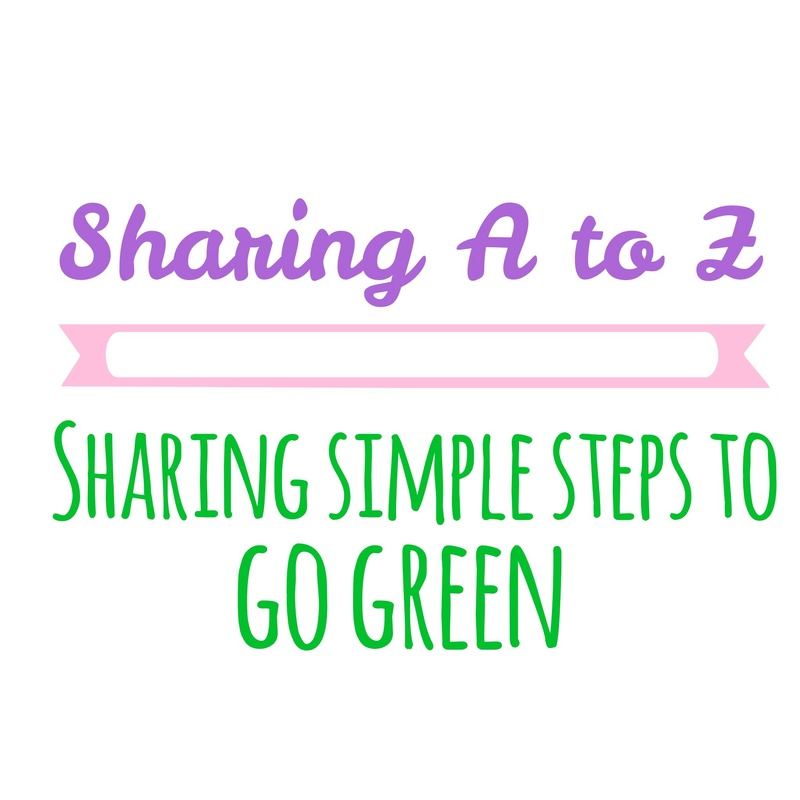 Welcome to the third step in our Simple Steps to Go Green series. If you missed step 1 or 2 (0r would like like little reminder), please click here and here. Step #3 Get your greens (and other veggies). -Use your green thumb and bring some plants inside your home. This helps purify the air (and makes your home more beautiful). Also, try growing your own herbs and plants. Growing a garden is one way to ensure you are eating organic produce. However, if you are like me, and don’t have much room for a traditional garden, there are other alternatives. 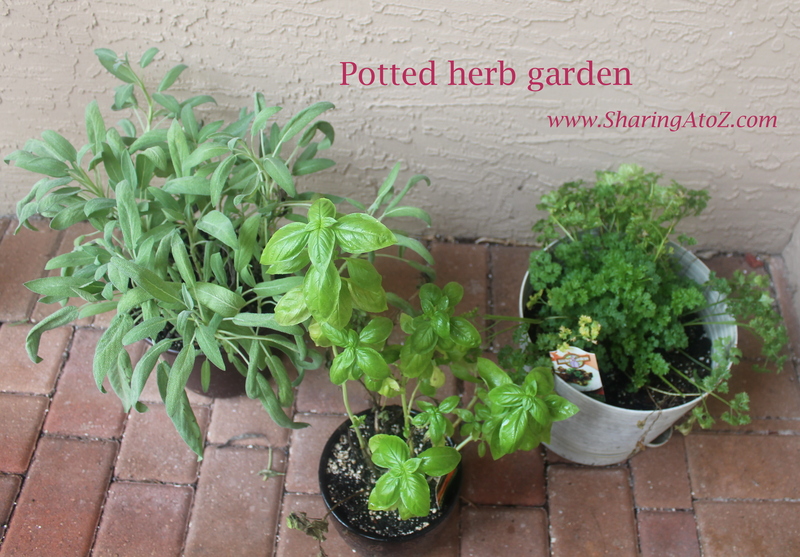 You can grow herbs and plants in pots or hydroponically. Buying the potted herb plants costs about the same as buying the fresh herbs for one time use and you get to use the plants many times. They can also serve as beautiful decorations. One of my favorite plant decorations is the Rosemary tree that Whole Foods sells around the holidays! 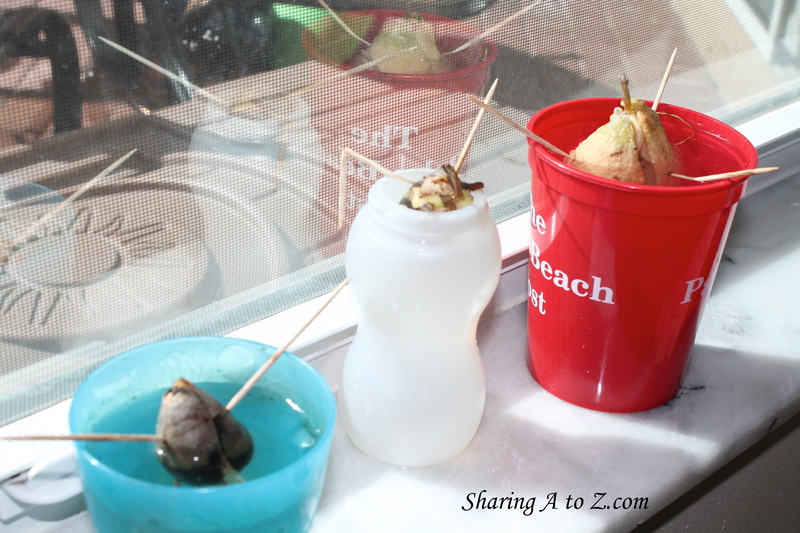 After watching some neat videos online about how you can grow veggies from seeds, the kids and I have enjoyed starting avocado plants from their seeds. We are still waiting for them to produce fruit, but they are growing beautifully. -Compost. I think this is such a wonderful idea (but I have yet to convince my husband of this). -Purchase organic produce whenever possible. Eating your fruits and veggies is a great way to stay healthy, but with all of the pesticides and chemicals used today, I try to purchase organic produce. I know this can be expensive (I get reminded of this often). However, the EWG has produced a list of the cleanest and dirtiest fruits and veggies to help with this objective. As of 2014, apples, strawberries and grapes are the three “dirtiest” fruits and veggies. Unfortunately, they are the most popular among children, too! By purchasing organic, you not only are providing cleaner produce for your families, you are helping the environment as the pesticides used also get into the soil and water. When you purchase organic, you are voting with your dollars! Once the food is purchased, if it starts to go bad, you can freeze it (and it works really well for smoothies). Another way I save money while buying organic is to buy frozen fruits and vegetables. How do you save money while going green and eating your greens? 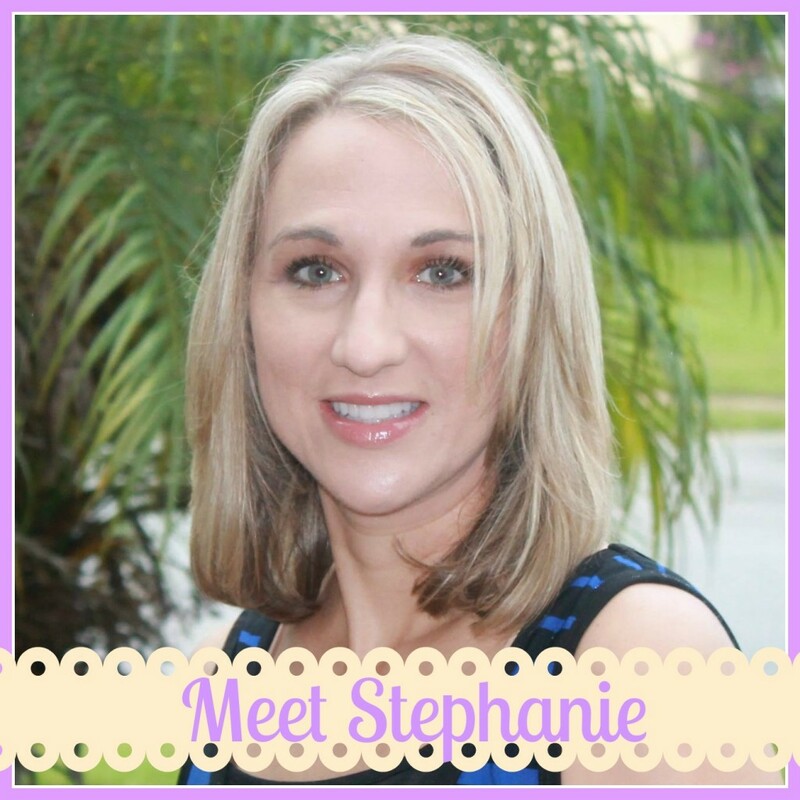 I’d love to hear from you! If you enjoyed these tips and would like to hear more, please subscribe (on the middle right sidebar) to get our SATZ newsletters. To stay connected with Sharing A to Z, please see Facebook or Pinterest. This entry was posted in Food, Going Green, Home and tagged food, Go Green, home, simple steps. Great tips. We do purchase organic when possible. I really need to bring more plants inside. You’ve inspired me to do so. My daughter will love it. Thank you! That is great. Before we moved we had a huge compost.. we used it all the time! We grow our own herbs (and lettuce, tomatoes and onions) every year. Nothing tastes better than home-grown! We love growing things to help reuse and learn more about the process of plant life! Great tips. I personally love the one demo on how to grow fruits from seeds. So cool. Great tips! I cannot keep live plants in the house because I have a cat who likes to eat them, but I do have an herb garden out on the patio that I LOVE! Thank you! My cat does the same thing. Thankfully, I can put bamboo up in a few places where he can’t get them. Good idea using perishable foods in green smoothies, will have to try these tips out! We’ve been wanting to do this for some time & your tips have encourage me to revisit this great idea! We buy organic when possible and try to feed our family organic foods. After going on a moderate detox diet, going on 2 years, I have really changed the way I shop, cook, and eat. Great post! Wow!! 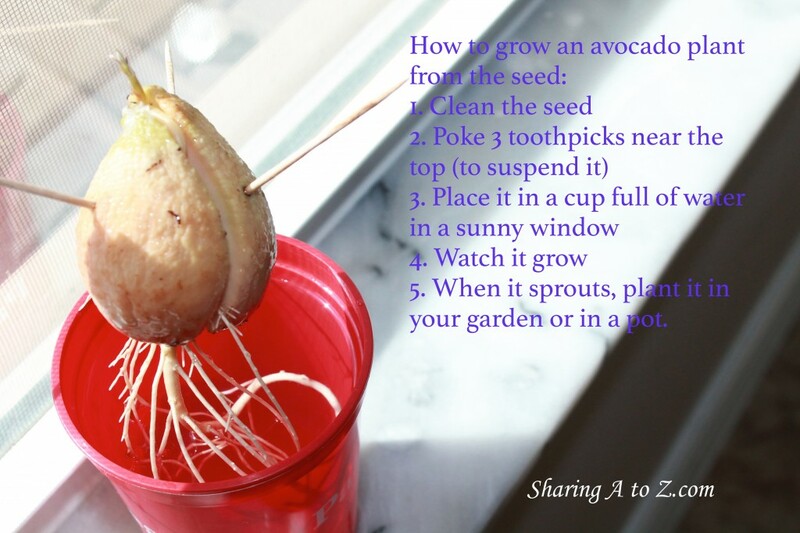 Lovely tips for growing avocado !! I will try next time I buy them.